MIAMI, FL--(Marketwired - Jul 13, 2016) - Flow customers will have yet another exciting option to experience the Olympic Games, as Flow -- the region's leading content provider and 'Official Broadcast Partner of Rio 2016 Olympic Games' -- introduces FlowRio2016Extra, the 'take the Olympic Games with you' App. FlowRio2016Extra is the latest option for customers, as the Company continues its renewed focus on innovation and providing customers with the very best Olympics experience. "The magic of the Olympic Games begins in less than a month and the entire Caribbean is very excited, as regional athletes are expected to bring home yet another big medal haul. As part of our efforts to support regional athletes and transform how our Customers experience the Games, Flow is introducing a number of exciting options for customers, including multiple Olympic channels, an Olympic microsite that gives Flow customers information on all things Olympics, and this very special Olympic app, that customers can access, on the go," said Michele English, President of Flow, the retail arm of Cable and Wireless Communications. According to English, the FlowRio2016Extra App is jam-packed with exciting features that bring the Olympics to life, right in the palm of the customers' hands. By downloading the app to their smart devices, customers will have exclusive access to live and on-demand Olympic content. This is the 'on-the-go alternative' to the Flow Sports Olympic daily broadcast and will be available on mobile and desktop devices. The App includes features such as, up-to-the-minute stats and 24/7 streaming of non-stop Olympic action; real time Olympics news highlights and video clips helping fans to catch up or relive each moment; athlete biographies and photo galleries to get up close and personal with the stars, and interactive medals table so fans can track their country's ranking. The App also gives fans interactive social media access so they can post, share, like, tweet and even comment on their favourite performance. In addition, customers can access the FlowRio2016Extra microsite, an online site just for Flow customers that mirrors the app features while also allowing customers to subscribe for daily email alerts, keep track of Flow's Brand Ambassador Athletes and view all #FlowToRio content, so they can retrace Flow's journey to the Olympics. 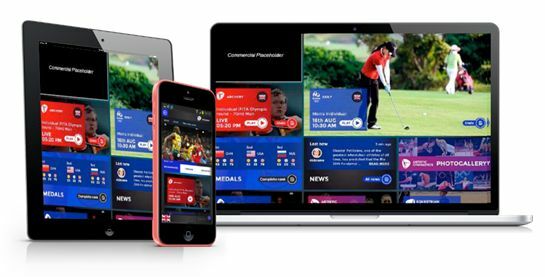 According to English, "With the Flow TV coverage, the FlowRio2016Extra App, and the microsite, Flow customers will experience a 360 degree viewing revolution, making this their best Olympic experience ever. We are effectively the Home of Sports in the Caribbean and there is no better way to see the Olympics without actually travelling to Rio. Flow takes its customers there, by bringing the Games right into their living rooms, offices, in the supermarket, while on their daily commute, in buses, cars, and everywhere they have to be. We have transformed the total Olympic experience for our customers, so they can experience the Games like never before. We are proud to say, 'this is #howweFlow.'" To download the interactive app on smartphones, tablets or other smart devices, if they don't already have a FlowID, customers will first need to take a simple step to set up their own personal Flow ID, after which they can freely access the App. Connect with us. We would like to hear from you. For more information, please visit www.cwc.com. Liberty Global is the world's largest international TV and broadband company, with operations in more than 30 countries across Europe, Latin America and the Caribbean. We invest in the infrastructure that empowers our customers to make the most of the digital revolution. Our scale and commitment to innovation enable us to develop market-leading products delivered through next-generation networks that connect our customers who subscribe to over 59 million1 television, broadband internet and telephony services. We also serve over ten million1 mobile subscribers and offer Wi-Fi service across six million access points. The Liberty Global Group operates in 12 European countries under the consumer brands Virgin Media, Ziggo, Unitymedia, Telenet and UPC. The LiLAC Group operates in over 20 countries in Latin America and the Caribbean under the consumer brands VTR, Flow, Liberty, Mas Móvil and BTC. In addition, the LiLAC Group operates a submarine fiber network throughout the region in over 30 markets. Footnote 1: Subscriber statistics for Liberty Global (including the LiLAC Group) and CWC are as of March 31, 2016 and December 31, 2015, respectively, and are based on each entity's subscriber counting policies. CWC's subscriber counting policies may differ from those of Liberty Global. Accordingly, the combined subscriber statistics are not necessarily indicative of the actual number of subscribers to be reported by the combined operations once CWC conforms to Liberty Global's subscriber counting policies.